Turkey, a transit country for drug smugglers working between Asia and Europe, is looking to curb domestic drug use. 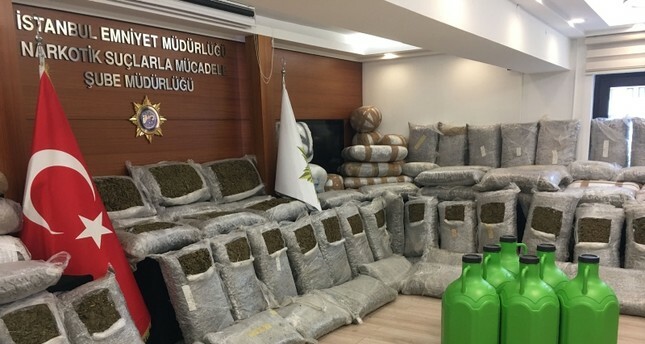 On Dec. 5, Turkish police carried out a joint operation with Bulgarian and Serbian police, making its largest-ever narcotics bust abroad. In 2014, the government launched "The Rapid Action Plan Against Drugs" to counter drug abuse and smuggling. The action plan covers all aspects of the struggle against narcotics abused by about 2.7 percent of the population, from raising awareness of their dangers and curbing demand to rehabilitation and treatment of addicts and facilitating social inclusion. It also paved the way for the establishment of "narcoteams," specialized police units active in neighborhoods where drug sales are concentrated. Turkish authorities say the Netherlands is one of the European countries from which drugs are smuggled to Turkey, though Afghanistan dominates drug smuggling into Europe and Turkey. Turkey is the ultimate destination for chemical drugs from the Netherlands and other European countries. Ecstasy, amphetamines, and prescription drugs were among the commonly seized drugs arriving from Europe.